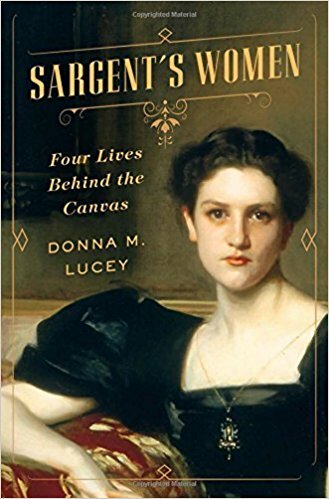 A biography, based on original letters and diaries, illuminating four extraordinary women painted by the iconic Gilded Age high-society portraitist John Singer Sargent. ...Lucey vividly reveals the hidden truths of their tumultuous lives, while also succinctly telling the artist’s own intriguing story ... Lucey’s portrait of 'mercurial' and 'brazen' Isabella Stewart Gardner, the best known of the quartet, is as fresh and revelatory as Sargent’s scandalous painting as she recounts Gardner’s zeal for art collecting and her unique home museum. 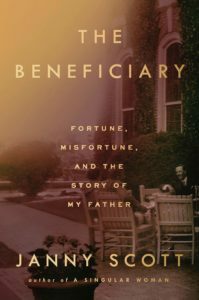 Lucey’s superlative group portrait, rendered in crystal-clear prose, is spring-fed by her immersion in vast archives of letters and diaries, her pilgrimages to the extraordinary places that shaped her subjects’ lives, and her keen insights into what drove these women to break out of their gilded cages. ...a rollicking snow globe version of an almost unimaginable world of wealth, crackpot notions of self-improvement and high-flying self-indulgence (like now; you know who you are, Goop) woven around an often passionate commitment to, deep admiration for and wide-ranging pursuit of the fine and literary arts (less like now). Lucey is a persistent detective and a bemused, sometimes amused, storyteller, attentive to interesting, hilarious, disturbing detail ... Lucey faces one significant difficulty as she slides these four clearly illuminated and carefully examined pearls onto a fascinating and filigreed chain, even as so many of the details are memorable and revealing. The problem with creating portraits of women from John Singer Sargent’s world is that so many of those portraits have already been brilliantly, unforgettably created and immortalized, from sketch to canvas, by Sargent himself. Sargent’s Women abounds with dazzling characters in atmospheric settings. Yet because it lacks a natural arc, much less a plot, its success owes entirely to the skills of the author. A dogged sleuth, a confident stylist and a clever narrative architect, Ms. Lucey arranges the four essays according to what might be called life-course chronology: in the order of the age at which each sitter was painted ... Taken together, the four essays ring changes on a common female arc of life, shaped by the fluctuating fortunes of fathers and by the choices and chances of marriage, in sickness and in health ... Like Sargent, Ms. Lucey sometimes over-gilds her lilies, and the narrative can take on the tone of a Merchant-Ivory film, long on sealing wax and steamer trunks and shorter on analytical depth. For all its surface delights, Sargent’s Women fails to plumb 'the horrible sympathy' that binds portraits and their sitters, as Wilde put it in Dorian Gray. Once varnished and dried, the paintings do little to advance Ms. Lucey’s story, nor does she probe the roles the portraits played in the lives of their sitters. Her descriptions of the portraits sometimes verge on cliché. What did you think of Sargent's Women?